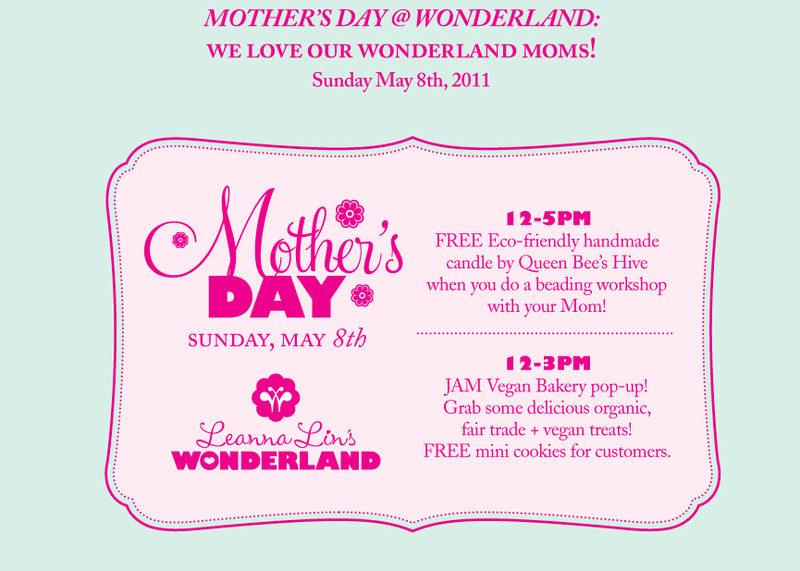 Beyond brunch: Mother’s Day for the adventurous, the artistic and the bloodthirsty. No one loves Eggs Benedict, caviar and champers more than Ms. Go Go but let’s face it…. Mother’s Day Brunch? Already, so bored. Shake it up this Sunday and bring la mere to one of these fab events that range from the sweet and yummy to the camp and bloody. If you need sustenance to spark your creative juices, JAM Vegan Bakery will be at the shop from 12 pm – 3 pm with $15 bags of grab ‘n go mini-cookies (plus their vegan cupcakes or cake pops) or free grab ‘n munch mini-goodness if you’re a Leanna Lin customer. As far as you’re concerned, cake pops always foster creativity. It’s Mother’s Day 2011 and that means the 10th Baby Doll Brawl at the Downtown-adjacent Doll Factory. Of course, Ms. Go Go does not refer to (horrors!) 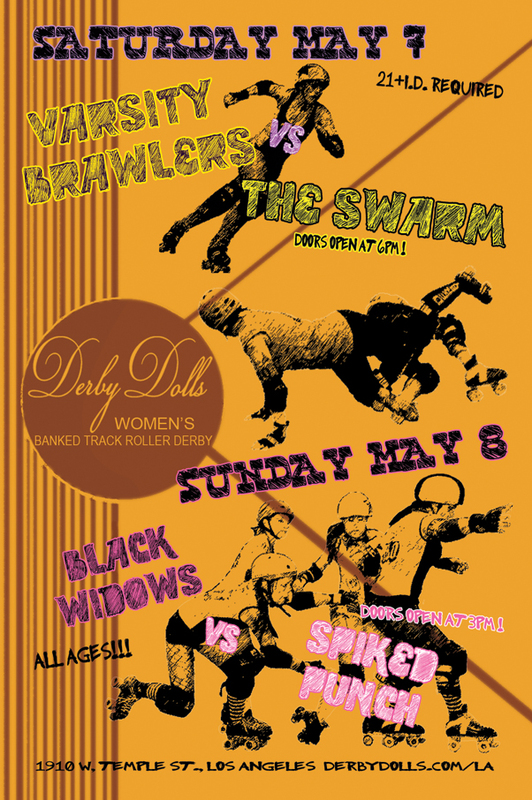 a knock-down, drag-out between you and your Mommy Dearest but a banked track tangle from 3:00 – 7:00 pm between the Los Angeles Derby Dolls’ newest skaters: the Black Widows versus Spiked Punch. Warning: unless you want Squashed Mom, stay out of the pink danger zone as skaters can fly off the track. Of course, you’re no stranger to flying femmes and dangerous pink zones. If Maman never misses a midnight screening of The Rocky Horror Picture Show, give her the gift of an outre new obsession. On May 8th, moms get in free to Re-Animator – the Musical at the Steve Allen Theater in Hollywood. The morbidly funny musical is directed by Stuart Gordon, who also helmed the cult cinema hit of H.P. Lovecraft’s alleged parody of Mary Shelley’s Frankenstein. The non-Transylvanian tunefest is now running five shows a weekend through the end of the month so you can opt to take your mom to a Friday night Midnight Madness show with beer ‘n bands. (She’s so progressive.) Or make it a multi-generational squirmfest: students get in half-price with I.D. Costumes are encouraged (Awww, you love Mom in a lab coat….) and you can give her the thrill of a lifetime with front-row tickets in the “splash zone” for a memorable, Mother’s Day, Sunday Bloody Sunday. This year, give mom the gift that truly says, “I care”. Ready? U Know U Want to Go Go….